Hello you lovely lot! It's been a while since I wrote a "to do" list hasn't it? I have always enjoyed writing them as it helps me stay on track so I am super excited to get back to writing them. I have been trying really hard to get back into my blogging flow, it's taken a while but I finally feel like I am in a place where I enjoy writing content again. I have been struck with so much inspiration lately and I think that's down to the fact I am taking more time for me, I am putting more effort into self care which in turn has been keeping my batteries charged. Granted I didn't put out as many posts in January as I would have liked but a lot of that was down to not having the photos for the blog posts, I was sitting with 30+ posts in my drafts, fully written but waiting for photos, I now have photos for a few of them so that will keep the content flowing I hope! Anyway, onto my February to Do list. Buy Flowers - You really can't go wrong with flowers can you? I love how they make my room look, they always tend to brighten it up and right now I need all the positive feelings I can get. Have a proper clear out - I have been clearing out some rooms recently, trying to make sure the house is all nice. My mind has been a mess recently and I am a firm believer in your surroundings impacting on your mood so I want the house to be nice and clean, I want it to be as de-cluttered as possible. Get new drawers - As I am cleaning out the house, the room across from mine is in major need of a make over! I have gotten new drawers already which have helped and now it's time to get another set to bring the room together, so that is on my list this month. New Tattoo - I have been talking back and fourth with a tattoo artist about my next big tattoo and I must say, I am VERY excited for it as it will be another addition to my sleeve. I still have to get my sleeve finished but her diary doesn't open up until March so to tide me over in the mean time, I will be going to someone else who has a similar tattooing style to get my next one started. Plan Little Bears room make over - Little bear is getting older (I am internally sobbing at this right now) and with his growing up comes his creativity which I am encouraging so this month we are going to make a plan for his room. The plan is to get a new double bed for him (he has his eye on a bunk bed one, WHY?!) and to re-do his walls as well as re-arranging the room to give his optimum space. 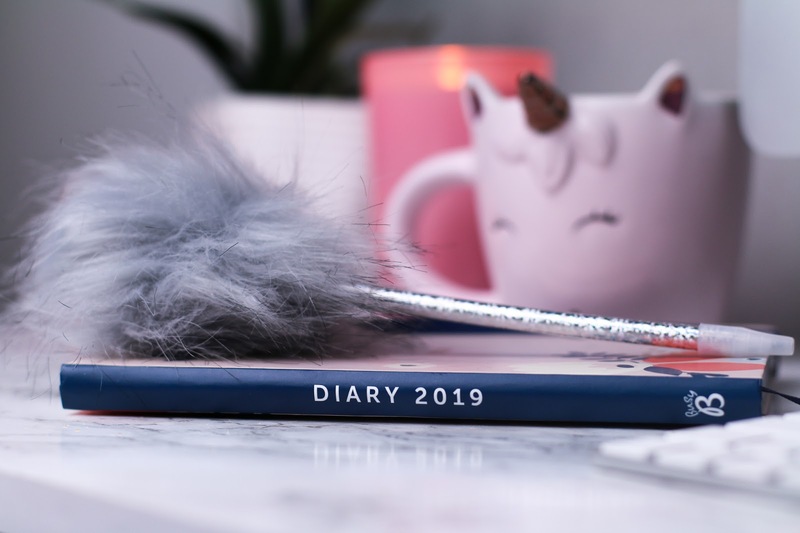 Make more time for self care - January saw me making some more time for my self care routine which I have loved, it has really helped me keep my batteries charged as I really need that right now. 2018 left me with a sour taste in my mouth and I am still trying to get over a few traumas and my self care nights help a lot and this month I plan on doing at least 2 a week. Start back at the gym - I have recently seen my physio therapist and fibro specialist and between them both I now have a revised work out plan that is perfect for me. It won't put too much pressure on my back or ribs which is great as that has always been a big thing for me and it will allow me to get back into working out. I always loved going to the gym but after my fibro diagnosis it has put me off a little as I know I can do more damage to myself if I am not careful, this new plan is a blessing to be honest as I can go work out again. Do my nails every week - I don't know about you, but when I have my nails done I always feel on top of the world! I love to have my nails done in different styles so I am going to make more time to get my nails done once a week, well, I am going to do my own nails as I do that most of the time anyway. I love getting creative with them so I have challenged myself to do different designs each time. Go out for dinner at least 3 times - I love going out for dinner, it's always a nice change of scenery and now that I am getting back on top of my eating habits and I can eat in front of people again, I want to go out to dinner more. There are so many restaurants that I ant to try so this will be exciting. 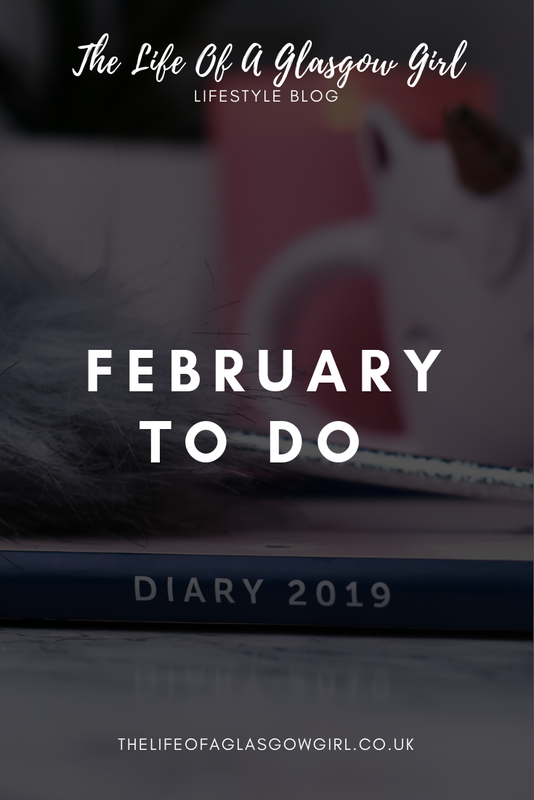 This is such a great list of February To Do's. I definitely am with you for most of them! I know that I always feel so good whenever I have my nails done. I definitely think I should save up and start getting them done again! Buying flowers is something I've never done for myself but I definitely think it could be a nice change for the month! Wishing you all the best for February! I really do enjoy reading monthly ‘to do’ lists and I found this one to be quite uplifting and inspirational. Although it does make me think I should probably make the effort to write some of my own to do list down! Then maybe I wouldn’t forget things so much!